The 10 Best Garden Centers and Nurseries in Florida! Florida is one of those states where the weather is great year-round to garden and grow the most beautiful plants and flowers. Are you looking to spruce up your backyard or simply add a few indoor houseplants to your city apartment? These garden centers and nurseries have exactly what you’re looking for and more! As you walk up to Palmer’s you’ll be able to smell the beautiful floral aroma that comes from their fantastic plant life. This spot has been catering to the citizens of Orlando for many years and continues to deliver with their friendly service and wide selection of products. Bright flowers, unique pottery and trickling fountains found here will turn your home or garden into a tropical oasis. Eighty percent of what you see in store is grown at their sister nursery, so Living Color is truly homegrown. Close to one hundred years ago Lukas Nursery began offering some of the most vibrant plant life to Central Florida residents. Complete with a unique native butterfly encounter, this nursery has a massive selection of plants and gardening supplies. 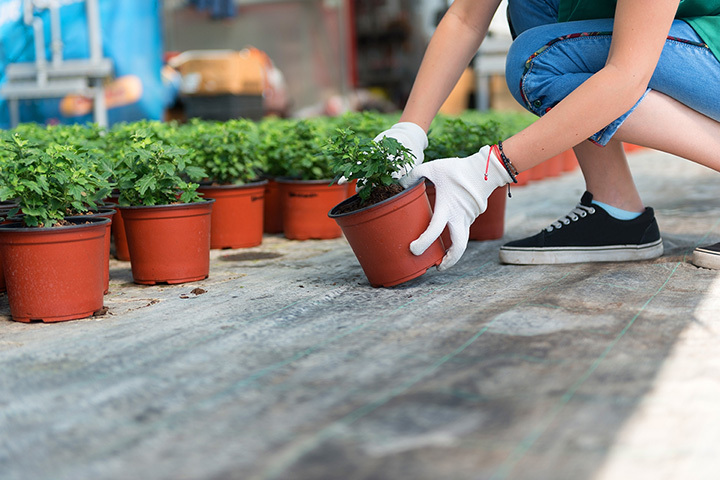 Known as the largest garden center and nursery in Brevard County, Rockledge Gardens has everything you need to start or grow your outdoor space! Since 1960 they have been providing their customers with pretty and locally grown goods. For over 40 years, Dolins has been a favorite among the St. Pete locals in the area. From trees and shrubs to pottery and supplies, they have it all! Stop in to admire their breathtaking perennials, annuals and natives. Landmark Nursery is the place to go if you’re hoping to make your outdoor space remarkable. Their kind staff will help you find the perfect fit for you and will provide you with the valuable guidance you need to spruce up your space! If you’re looking for traditional favorites or trendy plant life, Noble’s Greenhouse has it all! Their trees with edible fruits are high quality and will give your yard something that can be enjoyed for many years to come. Need a little bit more instruction on how to maintain your favorite plants? Busy Bee Lawn and Garden Center not only has the products you need, but also has instructional classes you can sign up for. Become an expert and take one! Are you a serious garden looking to make your plants bigger and better? Grace’s Hydroponic Organic Garden Center has all of the supplies you need to do just that! With over 50 years of experience in this field the experts at Grace’s will help you out. Soft sods, leafy greens and more are alive, well and ready for purchase at A One Stop Garden Ship in Loxahatchee. This garden center is committed to helping their customers through every season with any sort of gardening need you may have!